As Chevrolet continues to position the launches of their vehicles towards a global market, they have dropped their current moniker "Chevy Runs Deep" in lieu of a more globally positioned phrase "Find New Roads". 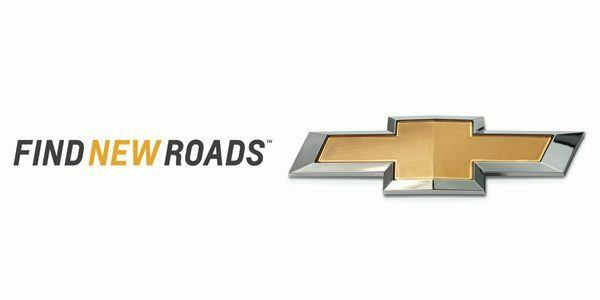 With Chevrolet continuing to be the world’s fastest-growing major automotive brand and as it continues to expand its global operations it has aligned its engineering, design and retail operations behind a single vision and communications platform – Find New Roads. When Chevrolet reemerged from their crisis in 2009/2010 they strongly rose with the "Chevy Runs Deep" campaigns effectively touching on the American and Canadian roots that helped define the history of the brand. Find New Roads will be the touchstone for the brand as it develops new products and technologies for sale in more than 140 markets. “Find New Roads embraces the spirit of ingenuity that has been in Chevrolet’s DNA since the beginning and it will continue to guide every aspect of our business moving forward,” said Mary Barra, senior vice president of Global Product Development. “We have sold Chevrolet's around the world for almost a century, but this is the first time we have aligned behind one global vision. Since launching the 2011 AJAC Car of the Year; the Cruze mid-size sedan – the brand’s first truly global vehicle – in 2009, Chevrolet sales have grown about 38 percent. In addition to driving internal consistency for Chevrolet, Find New Roads also will be used in advertising around the world, beginning in the United States this quarter.